The Columbia Sailing Club, located on Lake Murray, is organized as a nonprofit corporation under the laws of the State of South Carolina, and is committed to providing educational and training programs to the community on all aspects of sail boating. Club activities include sailboat races, regattas, race management training, youth sail camps, boating safety, first aid and a host of other activities that promote the sport of sail boating. 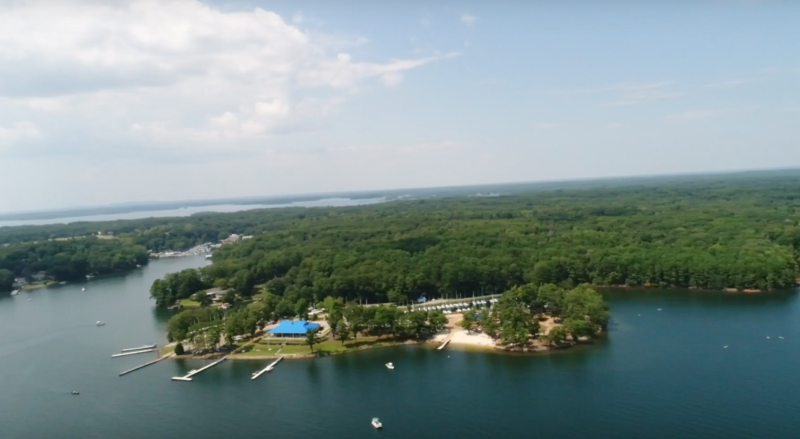 Lake Murray is a man-made lake of 78 square miles with 520 miles of shoreline, a length of 41 miles and an advertised width of 14 miles The lake is contained by a large earthen dam which was the largest in North America at the time it was built in the1920s. The Club’s facilities include a well-protected marina, 4 launching ramps, a gin pole, and other sailing-related amenities. The marina, shown below, has 100 berths for sailboats from 22 to 33 feet in length. Land parking slips accommodate an additional 100 boats.